Doctors have linked excessive use of electronics to early onset neurological disorders. South Korean doctors are blaming a spike in neurological trauma – usually associated with severe head injuries, psychiatric disorders, and strokes – on the excessive use of electronic devices such as smartphones and computer games. Young Koreans are increasingly being affected by “digital dementia,” as the Ministry of Science, ICT, and Future Planning reports that 64.5 percent of teenagers have smartphones – a figure that has risen sharply from 21.4 percent in 2011. The South Korean newspaper Joongang Daily reported the story of a 15 year old boy who began having problems with his memory. His parents confirmed that the youngster, since age five, had spent most of his time in front of a TV screen or playing video games. At first, he began failing school subjects that required heavy memorization. But the teen’s inability to remember his home’s 6-digit door password signaled that there was a problem far more serious than his parents had imagined – a doctor diagnosed the teen with early onset dementia. “His brain’s ability to transfer information to long-term memory has been impaired because of his heavy exposure to digital gadgets,” said the boy’s psychiatrist in Seoul. 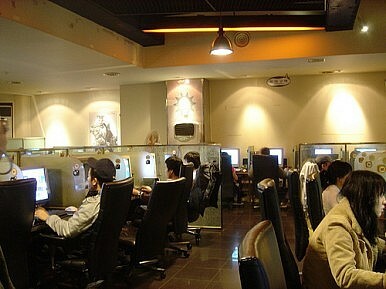 South Korea is regarded as one of the most connected nations on Earth, and the country has documented web addiction since the late 1990s. Last year, a survey by InternetSociety.org asked the question, “On average, how often do you access the Internet?” As a region, East Asia came in at number one with 70 percent of respondents answering “Many times a day” (the highest response). But as a single nation, South Korea topped the list with 77 percent giving the same answer. South Koreans also top the world for smartphone ownership at nearly 70 percent of the country’s 50 million residents – perhaps not a difficult notion to fathom with electronics giant Samsung headquartered in Seoul. Korean doctors claim that 18.4 percent of people between the ages of 10 and 19 spend more than seven hours a day on their smartphone. A government study confirmed what the doctors were alluding to, reporting that 20 percent of teenagers were addicted to their smartphones. Perhaps becoming addicted to tech and the web at such a young age is setting Koreans up for brain disorders later in life. “The number of people in their 20s, 30s, and 40s suffering from cognitive problems increased by 37 percent between 2008 and 2012,” reported The Korea Times. With the medical evidence mounting and statistics backing up the notion that South Korea’s youth is addicted to their electronic devices, the government has been forced to take action. An initiative by the Science Ministry, in conjunction with the Ministries of Health and Education, has mandated that schools teach special classes about internet addiction. There are also holiday “boot camps” to rehabilitate young Internet addicts. Gaming and web addiction in Korea has not only caused brain trauma – it has killed. In 2010, Korean police arrested a couple who starved their three-month-old baby to death while playing an online game at an internet cafe. The game’s premise? Raising a virtual baby. Can Ouya Shake Up the Gaming Console Market?Who’s Right About the New US-South Korea Joint Military Exercise?A Closer Look at South Korea’s Plan for Cooperation With RussiaNorth and South Korea’s New Military AgreementWhat’s Next for South Korea's ‘Defense Reform 2.0’ Initiative?